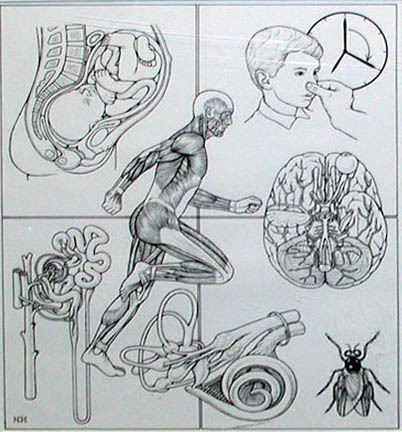 Hardy was a free-lance medical illustrator in the New York metropolitan area from 1958-2003. He was Associate Professor of Art as Applied to Medicine at Johns Hopkins University School of Medicine from 1984-2003. His clients included The New York Times, Scientific American, and Readers Digest. Hardy, Neil O., “Medical Studies,” Westport Public Schools Digital Collections, accessed April 24, 2019, https://collections.westportps.org/items/show/581.